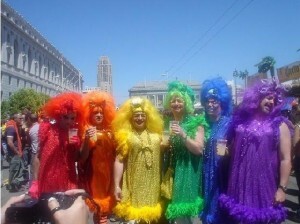 As Obama declared June as national gay pride month, cities across America held events celebrating homosexuality. While some may say that the events are merely “family entertainment,” others are deeply concerned that children are spectators and participants in many of the activities. “Philly Pride” was held on the weekend of June 9th and 10th. It was sponsored by a number of corporations and featured booths from Walgreens, Miller Beer, Costco, 5-Hour Energy, State Farm Insurance and others. 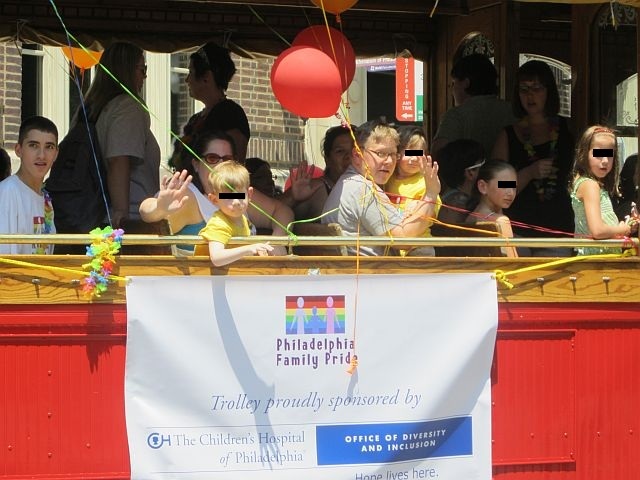 The parade also included a trolley car sponsored by the Children’s Hospital of Philadelphia, specifically it’s “Office of Diversity and Inclusion.” A number of children rode the trolley, including those of toddler age. Many parents brought their children to watch the parade as well. 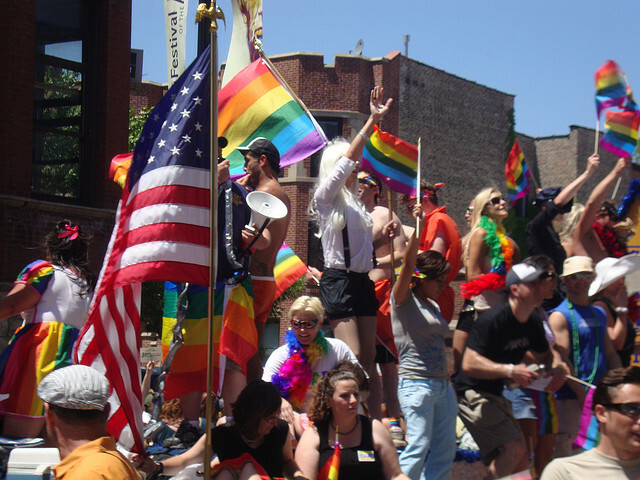 The City of Chicago has been hosting homosexual pride events all throughout the month of June. Rahm Immanuel, the city’s mayor, has made an additional declaration on top of Obama’s proclamation, dubbing June as “Gay Pride Month” in Chicago. Immanuel is expected to appear at one or more events this month. On June 10th, Urban Village Church hosted a special homosexual Sunday service, followed by a homosexual film festival at United in Faith Lutheran Church. Other events included a “Dyke march” (a parade for lesbians), a homosexual hall of fame event, and a national HIV testing day seminar, as well as parties at local night clubs and in the streets. Additionally, this Sunday, the city is facilitating an area for senior citizens to gather and watch the homosexual pride parade as it passes through the streets of the downtown Chicago. Children will also be participating in the event as part of a kid’s gathering at the San Fransisco LGBT community center. Additionally, a lesbian couple is expected to read from their book Here Come the Brides! Reflections on Lesbian Love and Marriage. The organizers of “Chicago Pride” outline that homosexual pride events first began in 1970, following an incident in 1969 where an informal homosexual group was broken up at a bar in New York City by police. The following day, other homosexuals in the city stood outside of the bar to protest. Municipalities across the nation then began to follow suit by holding city-wide events, especially in Chicago and Los Angeles, to rebel against the country’s stand against the homosexual lifestyle. While those hosting the events put a certain spin on the wording in an attempt to attract families, others state that the events are far from being family-friendly and are extremely perverse. Global observances are also being held, including in Berlin, Germany, Sao Paulo, Brazil and Vienna, Austria. Crowds appear to be in the thousands, with many men wearing dresses and make-up, and women wearing stripper attire.